Yellow Flower on Black Background Wallpaper is created by jules1983. The original name given by the photographer is Tigers and Bees Wallpaper. It is a JPG download, the file is very light, only 300 KB in size. Also look for Dew drop on purple flower petal wallpaper by the same photographer (clicking the link will open in new window). 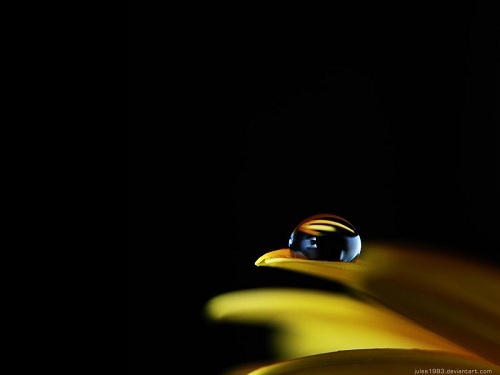 Cite this article as: Abhishek Ghosh, "Yellow Flower on Black Background Wallpaper," in The Customize Windows, May 21, 2012, April 21, 2019, https://thecustomizewindows.com/2012/05/yellow-flower-on-black-background-wallpaper/.